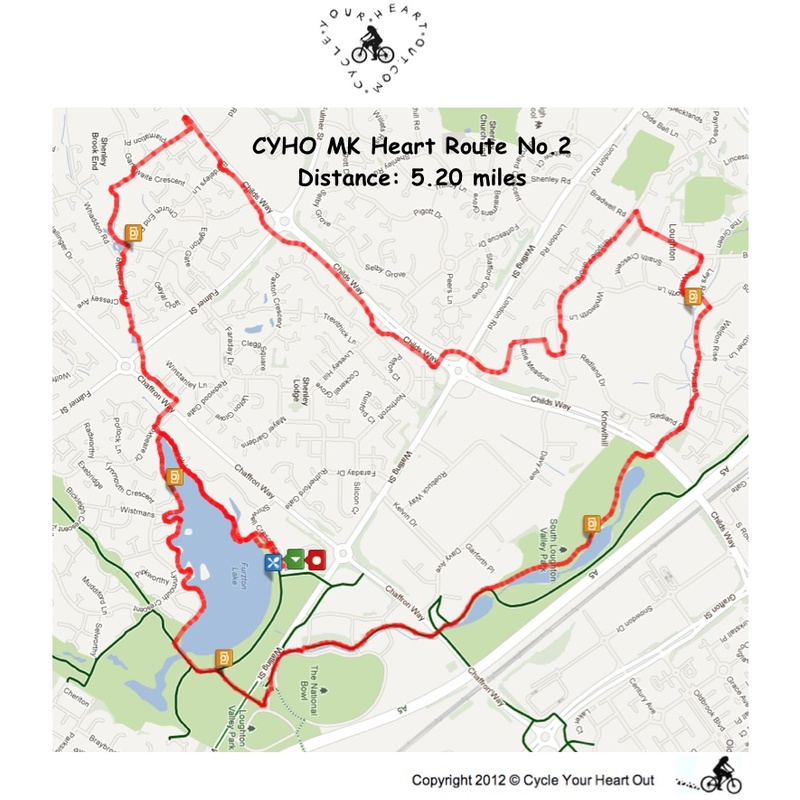 Below are some of the most popular heart routes that have been tried, tested and enjoyed in Milton Keynes and London! 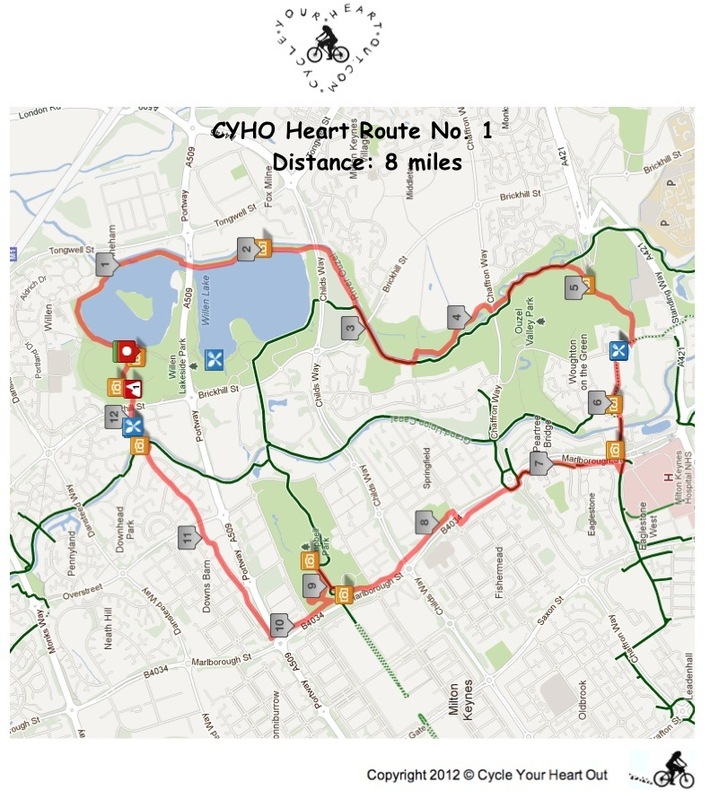 You can also visit the Youtube channel to see for yourself what some of the routes are like! Milton Keynes is lucky to have such fantastic redway paths, perfect for cycling off-road. 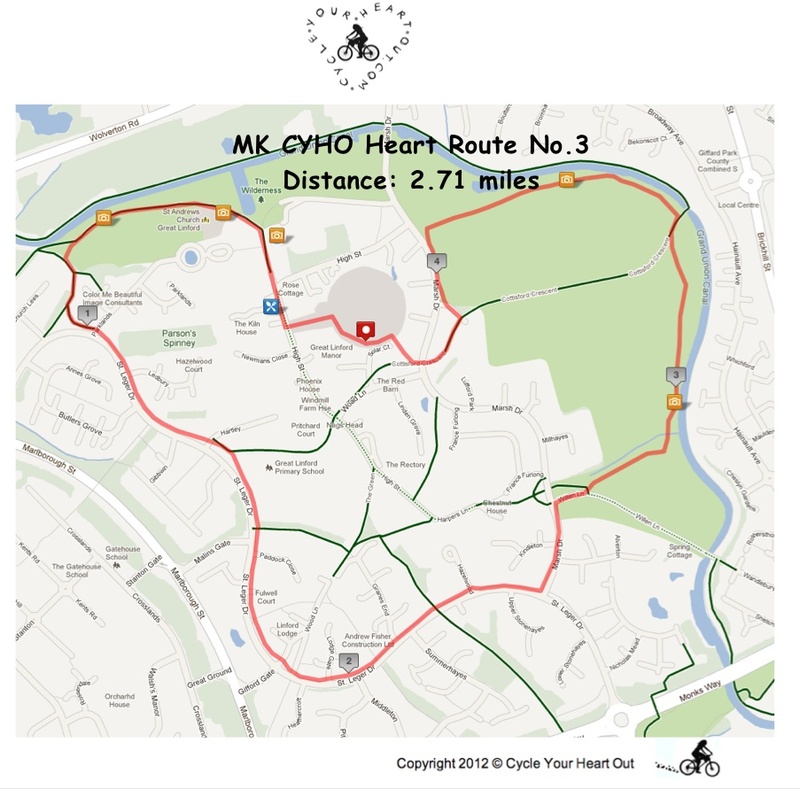 The route for the launch of Cycle Your Heart Out in July 2011 (route 1) was created specially to allow people of all ages and abilities to take part. Children as young as 8, and recent round the world cyclist Sean Conway have completed it, showing you that anyone can do it! Highlights: Furzton Lake, Shenley Brook End Park, Loughton, Teardrop lakes. Highlights: The Armshouses Artworks MK, St Andrews Church, Linford Manor Park, Canal. Highlights: Pembroke Lodge, Isabella Plantation, King Henry's Mound offering views of the London Eye St Paul’s Cathedral and Gherkin, not forgetting the hundreds of free roaming deers in the park! 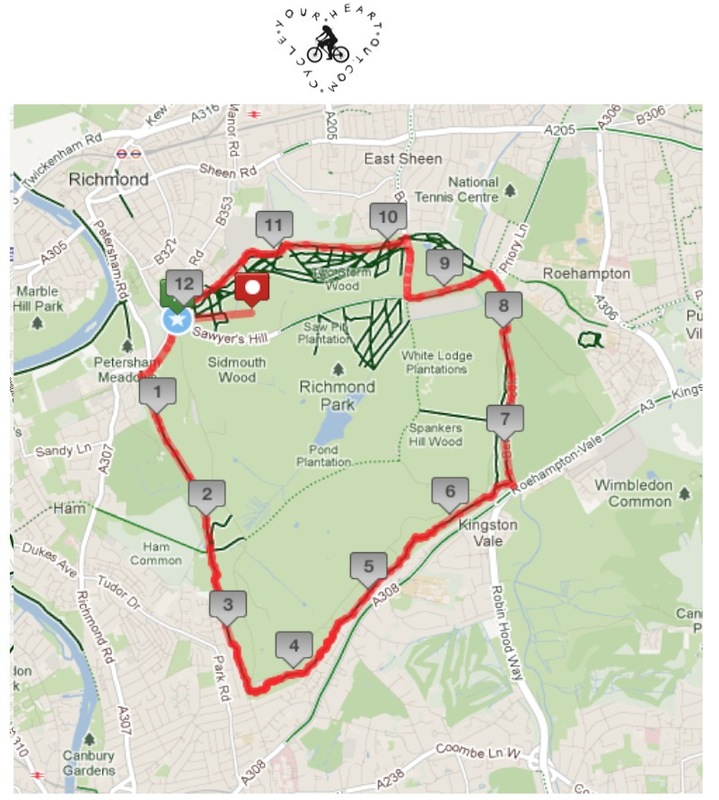 Highlights: A lovely scenic route that lets you cycle right past the Olympic stadium!